One of the first things patients notice when visiting us at DFW Center for Fertility & IVF is the competent, comforting abilities of the staff, led by Victor Beshay, MD. His close connection with patients and their extended families can help ease the transition to optimal fertility in the future. As a board-certified physician in reproductive endocrinology and infertility, as well as obstetrics and gynecology, Dr. Beshay has been practicing medicine for nearly 10 years. After graduating from East Carolina University School of Medicine, Dr. Beshay moved to Dallas to pursue training in obstetrics and gynecology. Following residency training in OB/GYN in 2005, he completed a 3-year fellowship in reproductive endocrinology and infertility. 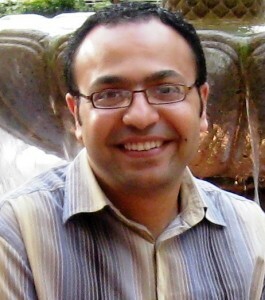 Dr. Beshay joined the faculty of the University of Texas Southwestern Medical Center at Dallas. His role as an assistant professor of endocrinology and infertility was mainly clinical work, as well as teaching fellows, residents and medical students. He started his independent practice, DFW Center for Fertility and IVF in Allen, TX, in May 2014. His ultimate goal was to help couples seeking fertility assistance, from their initial evaluation processes through every potential infertility treatment. For couples requiring in vitro fertilization, the specific medical protocol used is tailored to the exact reproductive problem being addressed. Dr. Beshay has special interest in fertility preservation options such as egg freezing. 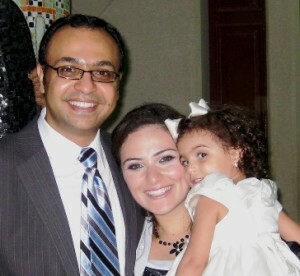 Away from his medical practice, Dr. Beshay enjoys spending time with his wife and two daughters and spends his free time playing raquetball and reading. To set up an appointment for infertility evaluation and/or fertility treatment plans, please contact us online or call DFW Center for Fertility and IVF in Allen, TX, at 469-854-0305.